So, Microsoft pulls a 180 (not to be confused with the 360 - sorry, I had to...), and while it was unexpected, I think it was something they simply had to do. By now, a lot of press has gone into how Microsoft was going to insist on an always-on connection and that you would not be able to loan/sell/trade games (at least not easily) due to restrictive policies. Well, now you need to connect online only once - right off of the bat - to activate your system, but it is no longer a requirement in any way, shape or form. The much-discussed 24 hour window is not a thing of the past - it will not even happen in the first place. Of even more note was the approach to used games. You will still have to install the title on your hard drive - which aside from usage space concerns - really is not a big deal to me. What was a big deal to people was that they could not trade/sell or loan games to their friends/used game shops/random people on the street. The Kinect is still a requirement and well... I am okay with that. Sure, it would never work in my bedroom as designed, but I could make it work in my living room. I think this was something Microsoft had to do. Reports of lost stock value and the Sony PlayStation 4 pulling ahead on pre-orders at a rate of 3 to 1 over the Xbox One clearly put the writing on the wall. Microsoft wanted to do something different originally, something that they thought would benefit publishers of games - but a lot of that would be lost if their install base turned out to be one third of Sony's. Will this turn the tide completely? Probably not, but it is a step in the right direction. The PlayStation 4 still comes in at $100 less for the system, but the Kinect at least gives a tangible reason for the higher Xbox One price tag. Now that Sony is using the PlayStation Plus in similar fashion to the Xbox Live Gold accounts, and that both consoles have announced a $59.99 price point for games, it looks like the playing field just got a lot more leveled out. I have my paid off pre-order for the PlayStation 4 and I feel mighty good about it still. That being said? 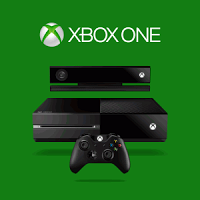 The Xbox One has re-entered the discussion as the next console I will get next. What are your thoughts? Does this change your perception of the Xbox One going forward? I thought they had a really good E3 conference in terms of the gaming content, and I do feel this was a good decision on Microsoft's part. Does it sway your opinions on which console is more desirable now? I never knew what the big deal was to begin with. Microsoft was just doing what everyone will be doing in the next 10 years. Sony was just trying to cash in by not doing what Microsoft's original plan was. Now, XBoxOne is back at #1, if you ask me. But this is just going to happen eventually. If you have a PC, I suggest you give it an open mouth kiss. Remember Milo. Remember PS3 backwards compatibility. Remember EA's partnership with Nintendo. THEY'RE ALL LIARS, trying to sell you a product. Without a doubt, this is the smartest move Microsoft has made. I didn't think they were going to sway so soon but it's nice to see that they did. I do agree that this will happen eventually. The line between PC and console is blurring more and more each generation, and I suspect that once games go 100% digital distribution, that will be the end of most of these talking points. Publishers would much rather do that - it saves them a lot of money and ensure that there is no used game market. The hardware's not quite there yet though (so much storage space is needed for one) nor is the infrastructure (too many places still limit things like monthly download amounts and not everyone even has a good broadband connection). I agree - in a decade we're looking at a whole new ballgame. I understand where Microsoft was coming from, but they were the only one trying this - and as a matter of self preservation, I think they made a good move in doing what buyers wanted - what they saw their competitors doing. Haha - Milo. Yeah... that was a joke. And honestly, that is what 99% of this boils down to. it's all a business, and business dictates they sell consoles to improve their installation base, so more developers will make exclusive games for their titles. Microsoft is doing this not because they wanted to, not because they were 'listening to their customers' - I do think some of the responses that came out of Microsoft previously (go buy a 360 and 'get over it' come to mind immediately) show a certain degree of being tone deaf on that front. Still, the numbers were staring them in the face, and doing this pulled the biggest ace out of Sony's hand post E3. This was a business decision at the end of the day - but a good one. Thanks for coming by to comment! I always figured there was a chance they would go back on this, or some of these aspects - but I agree that I didn't think it would happen so soon after delivering their E3 message. I think the overwhelming positive hype Sony has been getting, plus the pre-order numbers, more or less made them face reality - and that was they were losing ground and had to find a way to stem the loss of sales. My office has been very pro-PS4 since E3. I am going to be VERY curious to see what the guys on my team are saying tomorrow since this generation they were very Xbox 360-heavy over the PS3. It's like a magic show. How much of what was said was smoke and mirrors, versus DRM really disappearing? Every great vanish, usually has an awesome reveal. Just wait for it, when the smoke clears, it'll be DRMx2. They'll use it as a pitch to sell it. "Xbox One with DRMx2, better than ever!" I am not sure if Sony really is selling PS4 at a lost which explains why they need the subscription to cover it up? If that is not the case, I do hope that Microsoft's move will make Sony decide to scrap the whole pay to play online idea. Sony could have been a strong winner had they not announce that the PS plus is a must for all who wants to play online. I mean, for people like me, whom do not have plenty of time to enjoy all the free games Sony is willing to give away or to join in the regular multiplayer sessions. PS Plus at some point is not as worthwhile as others might seem to get. As to whether these changes will improve the Xbox sale, well, I am not very sure though. It could up the sales, but most likely it would not, probably because of the price point. And Kinect will have to prove more than just a sensory device for controlling dashboards. But, anything can happen especially when Xbox knows how to make the fans feel the superiority which Sony still unable to capture. Or maybe it is some "other" reasons. Hence, Sony will have to work harder to stay at the top of the game or to restore their old glory.Like what you said, Microsoft had a more solid conference with more new IPs and gameplays. Sony on the hand, show a little too less. Imagine if Microsoft was not this arrogant in the first place, I really will fear for Sony's future. Also, this fight is far from over. Microsoft could easily come with a version without the Kinect that offer the same price or lower? Least their notorious ROD is prevalent even in the new console. Still, if you were to ask me if I would sway for Xbox? Most likely not, unless they decide to bring more JRPGs and shake off the region lock thing. I am one for international sharing. Despite of me not liking Xbox as of now, at the end of the day, all I want is for the consoles to survive. PCs are good and everything but I prefer a system that concentrate solely on entertainment without me having to pay over a thousand dollars. I'll admit - I'm still going forward with the PS4 for the reason you touched on - I like my JRPG titles way too much, and Sony has a great track record with those, so from a pure game perspective, the PS4 was already the better fit for me personally. That it came in cheaper and without the various restrictions was just more icing on the cake. That said, I will likely invest in an Xbox One sometime in the next year or two now, where as before that was not a sure thing.